Here at eFulfillment Service, we handle order fulfillment for hundreds of online retailers around the globe, and many of those retailers have questions regarding how internet sales taxes work today, and how things may change in the future. So, we thought it’d be helpful to write a post on this very subject, starting with how things work now…..
How Does Online Sales Tax Work Today? While online sales tax collection isn’t as widespread as it may be in the future, there are liabilities for online sellers, and it’s already fairly complicated. Here’s a quick overview of how things work now. Having a physical presence has generally meant having one of the following within a state: a corporate office, physical store, sales office, or an order fulfillment center. So, if a retailer has their headquarters in New York, a fulfillment warehouse in Kansas, and a sales force out in California, that retailer would have nexus in all three states. Having nexus means that retailers are required to collect sales tax from customers in those states. In this case, for any customers that live in New York, Kansas or California, that retailer is supposed to collect sales tax when those customers place an online order. Because states love their tax money, many have recently updated the definition of nexus in order to make it more extensive. Here are a few examples….. In a number of states, if an out-of-state retailer’s business is being benefited from an in-state affiliate, such sales originating from an affiliate’s advertising or referral efforts, then that out-of-state retail is required to pay taxes for online sales to customers in states that those affiliates reside. Not all states have affiliate nexus laws, and the rules vary state-to-state, adding another layer of complication to internet sales tax collection. Click-thru nexus is another way that some states are generating more tax money from online sales. Click-thru nexus is typically triggered when a retailer generates sales from a consumer clicking thru an advertisement that was hosted on an in-state website. While not as popular as affiliate nexus, a number of states have already enacted click-thru nexus laws, and many more are considering it. Did you know that, as a consumer, you’re supposed to pay taxes annually on products you buy online for which you were not charged sales tax at the time? This is called use tax, but very few people actually pay it….at least right now. Currently, only a few states require that out-of-state retailers send yearly notifications to their in-state customers to remind them of their use tax obligations. Soon, more states will likely make these notifications a requirement. How Will Internet Sales Tax Work in the Future? So, that’s how things work now….a physical presence within state means collecting sales tax from customers in that state, and multi-state sellers also have to abide by an ever-growing expansion of what nexus actually means. And while the definition has been slowly expanding, with new proposed legislature, it may all soon change. In 2013, new proposed online sales tax legislature was put before Congress in what is called the Marketplace Fairness Act. The word “fairness” is included in the name because, for years, brick and mortar retailers have argued that online retailers have an unfair advantage in that they don’t have to collect sales tax from out-of-state customers. The Marketplace Fairness Act essentially does away with nexus, meaning that, regardless of where a retailer’s offices or fulfillment centers are located, that retailer will still be required to collect sales tax from all internet customers. The Act is likely to be revised before passing, but if it were to pass today, states would then have the authority to require out-of-state online retailers to collect sales tax from their in-state customers, so long as that seller has remote sales that exceed $1 million annually. The remote sales threshold of $1 million may also change before the Act is ultimately passed, but, as of now, with that threshold, the majority of ecommerce sellers would not be impacted, as most bring in less than $1 million each year from out-of-state customers. The Marketplace Fairness Act made its way through the Senate fairly quickly, but has since stalled in the House. There is currently much debate over the new proposed tax laws and there’s no telling exactly when it will pass or who will ultimately be impacted, but one thing is almost certain….some version of the Act will pass in the not-so-distant future. There’s another big thing to consider when it comes to collecting internet sales tax…..it’s complicated. 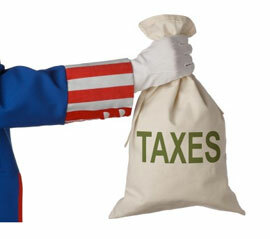 Right now there are over 9,600 different tax jurisdictions throughout the country. This means that the tax liabilities of ecommerce sellers would not only vary from state to state, but also city to city and county to county, making it impossible to collect the correct tax amount without the help of technology. In order for states to require remote sellers to collect sales tax for their internet orders, they need to make it simple, and many retailers and those in Congress say that states should be required to provide the necessary tax software at no charge. While we’ve all been surprised before at the things that didn’t seem to be thought through or sufficiently tested before laws went into effect, I assume the ease of tax collection will be a key sticking point, and one they’ll have to get right. Will Taxing Your Customers Negatively Impact Sales? This is a tough question to answer, but certainly an important one, as the potential to have taxes negatively impact sales is a big concern among online sellers. Up until recently, there has been very little evidence to suggest whether or not taxing internet purchases would have an effect on sales. However, just last month, three researchers at Ohio State University released a study that looked at the impact resulting from Amazon taxing more of its customers. The study found that Amazon sales actually fell a significant 9.5% after implementing a tax for online purchases. For large internet purchases, such as those over $300, the impact was even more severe, finding that Amazon sales dropped 23.8%. The researchers also discovered that, while some sales shifted offline to brick and mortars, many of Amazon’s lost sales actually went to third party sellers on the Amazon Marketplace, those that are currently exempt from collecting sales tax as they don’t have a nexus within the state that the customer resides. What Does it Mean for Your Online Business? It seems that collecting sales tax from more of your online customers will soon be a reality. And, while it’s just one study, there is also evidence to suggest that online sales tax collection does result in fewer sales. One important consideration, however, is that the Marketplace Fairness Act will essentially level the playing field among many retailers, meaning that internet shoppers won’t be able to as easily find a competitor that does not collect tax. However, for smaller retailers, given the proposed threshold of $1 million in remote sales, it is looking like they won’t have to collect sales tax from out-of-state customers for the foreseeable future. Will this mean that Amazon will implement changes making it more difficult for tax-exempt sellers to gain favorable positioning on their marketplace? Who knows, but it wouldn’t surprise me. Soon, federal online sales tax legislation will likely pass. For the time being, the fewer places you have nexus, the less you have to worry about losing out on potential sales to tax-exempt competitors.